You are currently browsing articles tagged OpenGL. Why use WebGL for Graphics Research? guest post by Patrick Cozzi, @pjcozzi. This isn’t as crazy as it sounds: WebGL has a chance to become the graphics API of choice for real-time graphics research. Here’s why I think so. An interactive demo is better than a video. WebGL allows us to embed demos in a website, like the demo for The Compact YCoCg Frame Buffer by Pavlos Mavridis and Georgios Papaioannou. A demo gives readers a better understanding than a video alone, allows them to reproduce performance results on their hardware, and enables them to experiment with debug views like the demo for WebGL Deferred Shading by Sijie Tian, Yuqin Shao, and me. This is, of course, true for a demo written with any graphics API, but WebGL makes the barrier-to-entry very low; it runs almost everywhere (iOS is still holding back the floodgates) and only requires clicking on a link. Readers and reviewers are much more likely to check it out. WebGL runs on desktop and mobile. Android devices now have pretty good support for WebGL. This allows us to write the majority of our demo once and get performance numbers for both desktop and mobile. This is especially useful for algorithms that will have different performance implications due to differences in GPU architectures, e.g., early-z vs. tile-based, or network bandwidth, e.g., streaming massive models. WebGL is starting to expose modern GPU features. WebGL is based on OpenGL ES 2.0 so it doesn’t expose features like query timers, compute shaders, uniform buffers, etc. However, with some WebGL 2 (based on ES 3.0) features being exposed as extensions, we are getting access to more GPU features like instancing and multiple render targets. Given that OpenGL ES 3.1 will be released this year with compute shaders, atomics, and image load/store, we can expect WebGL to follow. This will allow compute-shader-based research in WebGL, an area where I expect we’ll continue to see innovation. In addition, with NVIDIA Tegra K1, we see OpenGL 4.4 support on mobile, which could ultimately mean more features exposed by WebGL to keep pace with mobile. Some graphics research areas, such as animation, don’t always need access to the latest GPU features and instead just need a way to visualization their results. Even many of the latest JCGT papers on rendering can be implemented with WebGL and the extensions it exposes today (e.g., “Weighted Blended Order-Independent Transparency“). On the other hand, some research will explore the latest GPU features or use features only available to languages with pointers, for example, using persistent-mapped buffers in Approaching Zero Driver Overhead by Cass Everitt, Graham Sellers, John McDonald, and Tim Foley. WebGL is faster to develop with. Check out the WebGL Report to see what extensions your browser supports. If it meets the needs for your next research project, give it a try! Learning WebGL – Giles Thomas does a great job reporting the latest WebGL news and demos in his WebGL around the net posts. WebGL Camp is a mini WebGL conference. There have been four in the bay area, one in Orlando, and one in Switzerland. Videos, slides, and demos for all of them are online. Of particular interest is the WebGL game engine, turbulenz: slides • video. There are a few intro books including WebGL Beginner’s Guide by Diego Cantor and Brandon Jones, and WebGL: Up and Running by Tony Parisi. I haven’t read them, but the authors are well respected in the WebGL community. Our new book, OpenGL Insights, has 15 chapters related to WebGL, including a sample chapter, The ANGLE Project: Implementing OpenGL ES 2.0 on Direct3D by Daniel Koch and Nicolas Capens, that describes ANGLE, the default WebGL implementation on Windows in Chrome and Firefox. The WebGL BOF, organized by Ken Russell, will have a series of five-minute lighting talks with a focus on demos, including a Cesium demo I’m giving. Last year the room was packed – people standing, sitting on the floor, and crowding around the door. Let’s hope the room is a lot bigger this year. Graphics Programming for the Web is a timely new course by Pushkar Joshi, Mikaël Bourges-Sévenier, Ken Russell, and Zhenyao Mo covering WebGL and other relavant HTML5 techniques. It sounds like it will be pretty broad, which is great for C++ developers like me that recently started to pretend to be web developers. Although not WebGL-specific, I’ll be at the Rest 3D BOF organized by Rémi Arnaud. I’ll even miss part of Beyond Programmable Shading for it. Rest 3D is defining a REST API for accessing 3D content over HTTP. If it gets widespread adoption from content providers, WebGL apps using the API will have access to a ton of content, which is a big win for everyone. Need to convince management/leads to consider WebGL? WebGL browser support is increasing. Check out the WebGL Stats by Florian Bösch. It currently reports that 65.6% of desktop browsers across all OSes support WebGL. (more stats for Firefox here). The WebGL Inspector by Ben Vanik allows us to step through WebGL calls or just draw calls, and view textures, buffers, shaders, and the current state – think gDEBugger for WebGL. I like to use it as a sanity check to make sure we are not making too many draw calls or loading too many textures. Our WebGL Report uses a pipeline diagram to display the system’s WebGL capabilities such as maximum texture size and number of texture image units. Finally, the WebGL wiki has a ton of great resources including a list of frameworks and more. 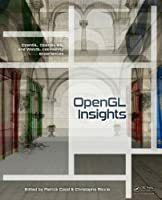 The call for participation for the “OpenGL Insights” book ends in a month. If you have a good tutorial or technique about OpenGL that you’d like to publish, please send on a proposal to them for consideration. Just noticed this on Morgan McGuire’s twitter feed. I don’t know why, but gDEBugger, sort of the PIX equivalent for OpenGL, is now free, go here for a license. They’ll be putting out a newer free version (5.8) by the end of the year, so it’s not like they’re discontinuing the product. Maybe it’s the “get them hooked” business model. Also, there’s talk that the current version doesn’t work that well with OpenGL 3.2 and above. Nonetheless, it’s an excellent product overall. Anyway, screen shots here. To quote their literature: gDEBugger is an OpenGL, OpenGL ES, and OpenCL Debugger, Profiler and memory analyzer. It traces application activity on top of the OpenGL API to provide the application behavior information you need to find bugs and to optimize application performance. gDEBugger transforms the debugging task of graphic application from a “Black box” into a White box model; using gDEBugger you can peer inside the OpenGL usage to see how individual commands affect the graphic pipeline implementation. gDEBugger has a lot of “standard debugger” abilities, but also contains many special features for graphics software developers: view render context state variables, view allocated textures, textures properties and image data, Shaders programs and source code, break on OpenGL errors. In addition, using its profiling abilities, gDEBugger enables you to pinpoint easily the exact location of the application’s graphic pipeline performance bottleneck to let you optimize the application performance. The American chip manufacturer AMD is buying Israel’s Graphic Remedy company, the Calcalist financial website reports. It appears that AMD – Intel’s competitor in manufacturing PC and server chips – will pay a relatively low amount for Graphic Remedy, some $4-5 million. Graphic Remedy, founded six years ago, is a small company with seven employees. It gained renown for its series of simulation and debugging applications for graphic programs and computer games and became dominant among Cronus’ [sic – they mean Khronos Group’s] Open GL platform developers. Here at RTR HQ we like to consider ourselves trailing edge, covering all the stories that have already been slashdotted and boingboinged, not to mention Penny Arcaded. My last post included the simulated 6502 project. The madness/brilliance of this ALU simulator boggles my mind. Yes, Minecraft is awesome, and for the low low price of $13.30 it’s had me in its terrible grasp for the past week, e.g. this. I wanted to run through a few graphical bits about it. First, the voxel display engine is surprisingly fast for something that runs in the browser. Minecraft uses the Lightweight Java Game Library to drive OpenGL. Max McGuire figures that the program tracks the visible faces, i.e. all those between air and non-air, and then brute-force displays all these faces (using backface culling) within a given distance. The file format keeps track of 16x16x128 (high) chunks, so just the nearby chunks need display. I don’t know if the program’s using frustum culling on the chunks (I’d hope so!). Looks like no occlusion culling is done currently. The lighting model is interesting and nicely done, we haven’t quite figured it out; the game’s author, “Notch” (Markus Persson), notes that it was one of the trickier elements to make work efficiently. Me, I’ve been looking at voxelization programs out there, to see if there’s a good one for turning models into voxel building plans (it’s a sickness, seriously). Patrick Min’s binvox (paired with his viewvox viewer) looks promising, since Patrick’s a good programmer (e.g., his CalcuDoku app), the program’s been around 6 years, and it’s open-source. Binvox uses the GPU to generate the voxel views, so it’s quite fast. It supports both parity counting and “carving”, and can also remove fully-interior voxels after processing. Parity count is for “watertight” models (closed and manifold, i.e. the polygon mesh correctly defines a solid object without gaps or self-intersections, etc.). Carving is taking 6 views and recording the closest occupied voxel from each direction. It won’t give you holes or crevices you can’t see from the 6 directions, but is otherwise good for polygonal models that are just surfaces, i.e., that don’t properly represent solids. See his page for references to all techniques he uses. I found a bug in Patrick’s OBJ reader yesterday and he fixed it overnight (fast service! ), so I’m game to give it another go tonight.